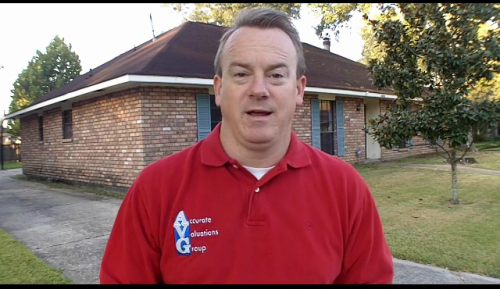 Does The Baton Rouge Appraiser really have to look in my closets?My Appraiser Friend and Colleague, Tom Horn, SRA, in Birmingham AL wrote an answer to many homeowners questions about why Appraisers need to look in your closets. And, I can totally relate because in July, not wanting to be nosy on a 2nd floor, I saw a door in a bedroom corner that looked like a normal closet door, the only closet in bedroom, and decided it was a closet without opening door. Well, as it turned it, it was a closet door that led through a closet, around a corner and into a 120sf Private Office. So, I had to go back to home and re measure that area and take a photo. 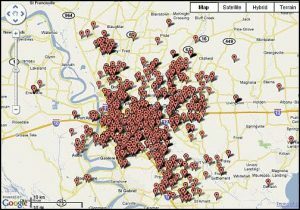 So, Appraisers don’t care to be nosy inside your home. Why? To Discover What Is or Is Not Living Area and Measure It! Tom is correct that Appraisers are duty bound to measure all of your Gross Living Area and the only way we can do our jobs is to look into your closets and determine if they are living area or not (finished out with the same quality as home, has at 7′ ceiling and properly heated and cooled) and then measure the size of each closet. On a second floor to an Appraiser, sometimes there’s a door that opens to an attic and sometimes it’s a finished closet and is living area. We have to open doors and closets to determine accurate living area. And, when homes in your subdivision are selling at $100 per square foot of living area size, then you the homeowner want to the Appraiser to be as accurate as possible! 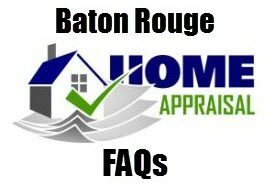 Greater Baton Rouge Home Appraisal Question Answered: Do I have to repair it now, or can I wait until the loan closes?